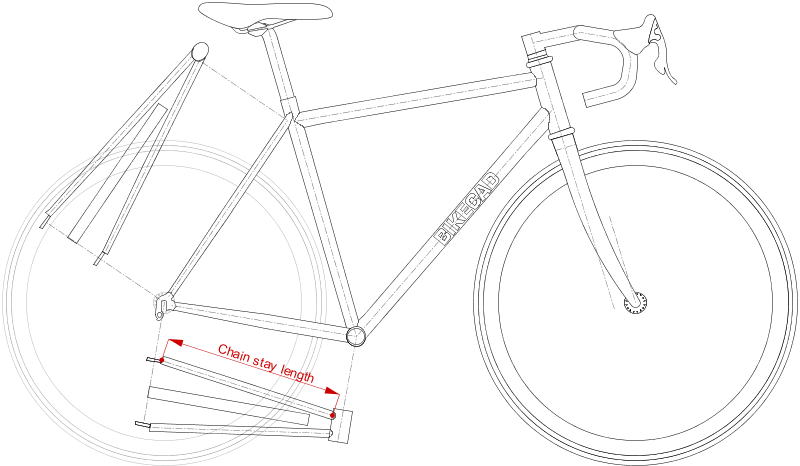 Chain stay length is the distance from the center of the bottom bracket to the center of the rear axle. Note how this dimension includes the radius of the bottom bracket and part of the rear dropout. Also note that while the chain stays themselves are close together at the bottom bracket end and spread further apart at the back where they attach to the dropouts, the chain stay length is still measured in a plane running through the center of the bicycle. Be aware that BikeCAD Pro displays a second dimension of the same name in the Stays tab of the Dimensions dialog box. This dimension is shown below. 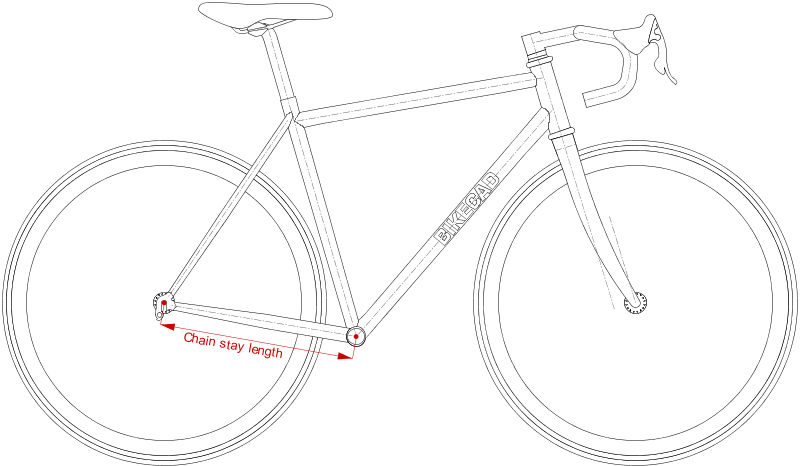 Note how in this context the chain stay length is shown from the rear end of the tube directly to the front end of the tube where it connects to the bottom bracket. 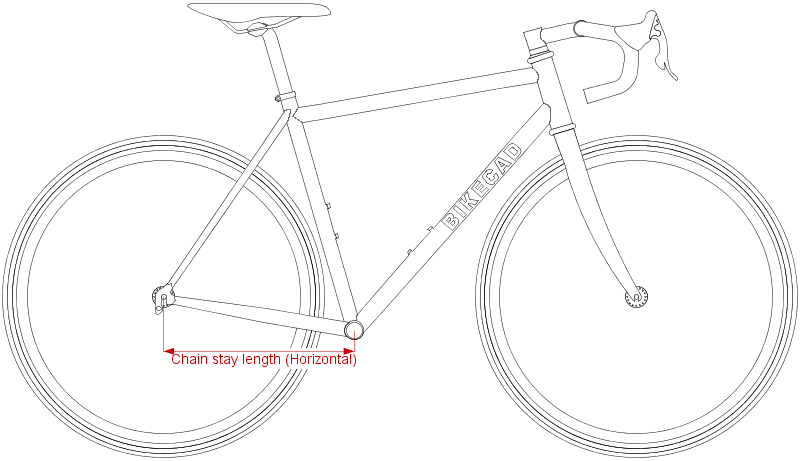 In the Jig setup section of the Dimensions dialog box in BikeCAD Pro, you will also find the horizontal component of chain stay length as shown below.